All Mods working for July 10, 2018 patch. I think we get the idea that garlic has a smell and don't need the green fumes to remind us. If they were a little more subtle I wouldn't mind, or if they were different than the spoiled food/low hygiene effect, but they're exactly the same and they're really unattractive. So now they're gone with this mod. Works for all garlic: in the garden, harvested, braids, wreaths and garland. 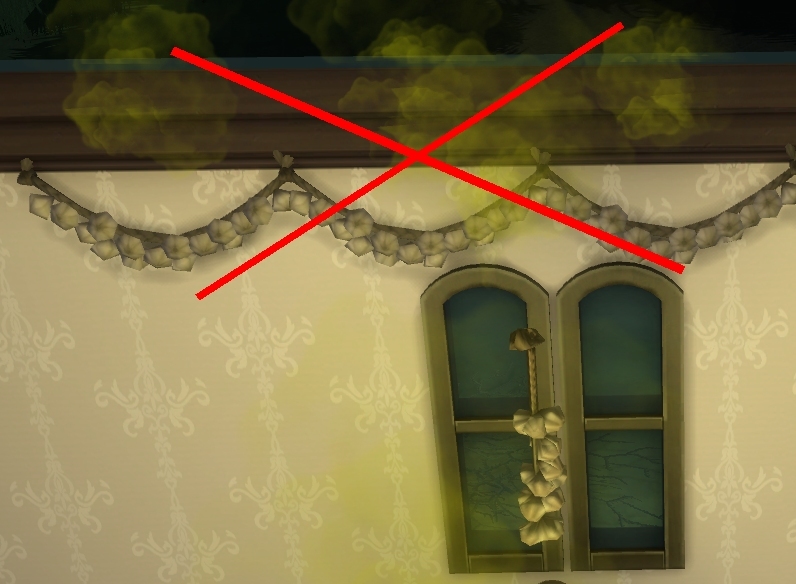 The mod doesn't change anything about garlic; it just removes the video effect of the green smoke/fumes. Thank you for that. I think the garlic makes a nice kitchen decoration, but the fumes are just so ugly. Now I can use them! I've been playing the Sims since 2006 and have been lightly modding since Sims 1. I don't make many mods and no custom content except occasional walls and floors. My modding ability is limited to XML mods, but I have a few that I think are pretty unique. All of my mod filenames are prefaced with judy_ but I am mostly known as pearlbh or sometimes pearlsandybank around the various Sims communities. Judy is my real name!